In preparation for dental health month in August I thought I would share what goes on when your pet comes in for a ‘dental’. Dental disease is a broad term covering many problems with the teeth but the most common is periodontal disease where there is bone loss and infection around the tooth, secondary to tartar build up on the teeth. Some breeds are predisposed to periodontal disease such as Maltese, Poodles, Cavalier King Charles Spaniels and Greyhounds to name just a few. Most often noticed as bad breath it can progress to very serious infections in the mouth with very little signs from our pets. Whilst examination of the mouth is part of our regular health checks it can be difficult to tell exactly what is going on in the mouth without a thorough examination under anaesthesia. A general anaesthetic allows us to examine every tooth in the mouth, the gums and under the tongue in detail and check for disease. It also allows us to take dental xrays which can diagnose dental disease below the gum line, not obvious externally. Pets do not show pain as we do; a pet may still be eating despite severe disease and pain in the mouth. The cat in these pictures is an example of this. This is my own cat Macy, an 11 yo Burmese who has always had good dental health. 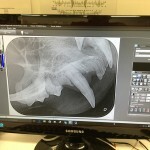 Macy had a routine scale and polish 2 years ago with no problems noted and I was expecting similar on this day with only low grade tartar build up on a couple of back teeth. I was shocked to find she actually had a badly diseased canine tooth that was infected and required removal! Macy had not shown any outward signs of pain, nor had she changed her eating habits at all. During a health exam we will advise if your pet requires a dental clean and if any extractions are expected. An estimate of costs will be provided for the expected treatment. However, keep in mind that like in Macy’s case, unexpected findings can occur and we may need to alter the plan. Older patients requiring extensive dental work may be staged over two procedures. 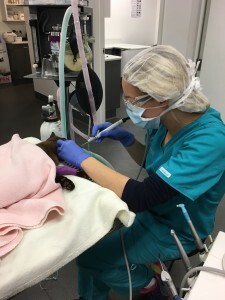 During the first procedure we will thoroughly examine the mouth, perform dental X-rays, clean the teeth and we will usually extract the worst affected teeth. We will then make a plan to remove other diseased teeth based on our x-ray findings at a later date – usually in a few weeks time. There are a number of benefits to this two staged approach. 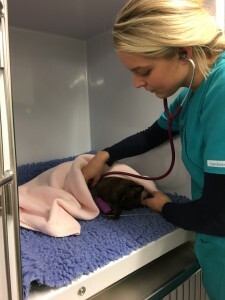 Firstly it is usually better for older pets to have 2 shorter anaesthetic and surgical procedures than a single very long one – they’ll have a better recovery, and it it places less stress on their more mature organ systems. 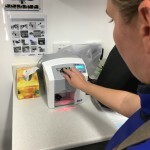 Secondly, while not a full cure, we can improve the quality of life of the animal by reducing pain and infection in the mouth in the first step and it allows us to give a more accurate estimate of costs to complete the work that is required to optimise the pet’s health. On the day of the procedure a nurse will admit your pet. 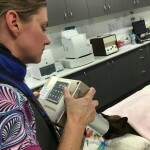 They will perform a pre-anaesthetic exam taking all the vital signs such as heart rate, respiratory rate and temperature prior to starting. Surgical patients including dentals, are admitted into hospital in the morning usually between 8:30-9:00am and surgery happens between 11am and 3pm. 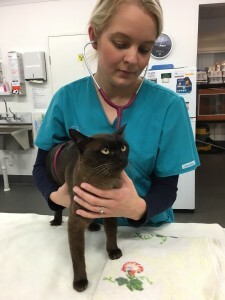 This allows time for your pet to settle into its hospital cage, have blood drawn for pre-anaesthetic tests, have an intravenous (IV) line placed and supplementary fluids started prior to surgery where required. We give a sedation which allows for a smoother anaesthetic induction and also provides pre-emptive pain relief. In geriatric patients or those with reduced renal function we may even get them into hospital the day before to have fluid therapy overnight and ensure adequate hydration going into surgery. Intravenous catheter placement into the leg for administration of anaesthetics and fluids. 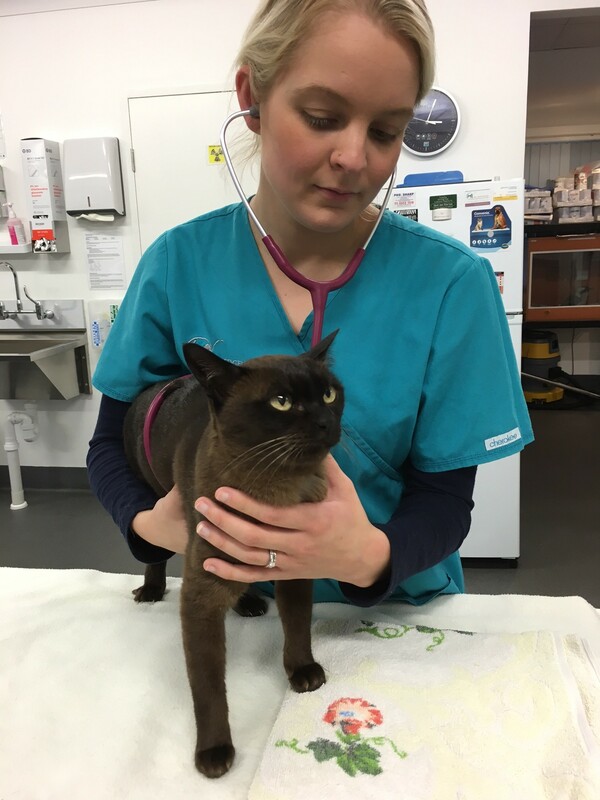 Once we have the results of the blood tests a vet will formulate an anaesthetic plan best suited to your pet. 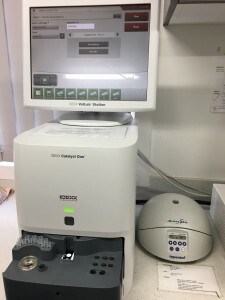 Pre-anaesthetic blood tests are not mandatory but are highly recommended, particularly in older patients which are more likely to have underlying diseases. 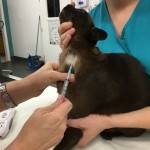 The results of the blood tests will allow us to tailor the anaesthetic plan, any other medications, and overall treatment plan specifically for the health and welfare of your pet. They may even identify a previously unknown medical condition which could be important to treat! Macy’s pre-anaesthetic blood tests indicated another big surprise – she is in early stages of renal (kidney) insufficiency! Identifying this condition is important as I needed to take extra care with her fluid administration to maintain blood pressure to the kidneys and certain medications should be avoided in her from now on. I have also started her on a special prescription diet designed to help slow progression of her kidney disease. Once your pet is ready to go to surgery they are given an anesthetic induction via their IV line which will make them unconscious. We then place a tube down their airway and deliver oxygen and anaesthetic gas directly to their lungs which will keep them asleep during the remainder of the procedure. The tube also protects their lungs and airway from any water, bacteria, blood and mucous released from their mouth. We use an absorbent gag to provide further protection of the airway from fluids. Passing an endotracheal tube into the airway to deliver oxygen and anaesthetic gas. 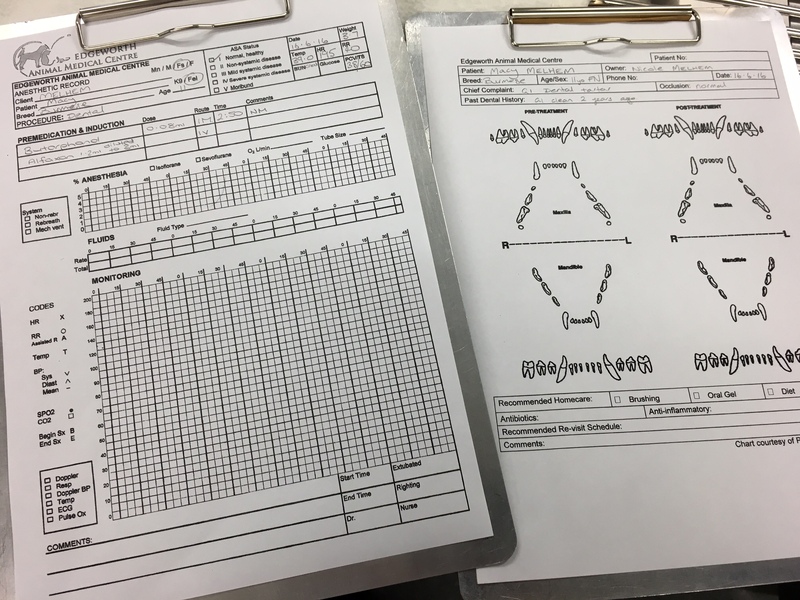 During the dental procedure our nurses will monitor vital signs such as heart rate, respiratory rate, blood pressure and oxygen levels in the blood. 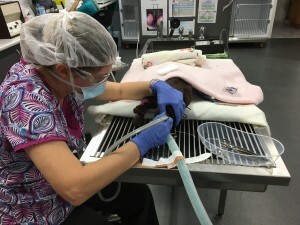 They closely monitor the patient’s body temperature as it is common for animals to lose heat through the tongue as we are using a lot of water to cool the dental instruments. The condition of the teeth will be charted identifying any gingival pockets, broken or loose teeth, oral masses, ulcerations or other abnormalities. Just like at a human dentist the teeth are cleaned using an ultrasonic scaler that is able to access under the gingiva. This is cooled using a spray of water coming out form the tip of the scaler to avoid heat damage to the teeth. The teeth are then polished with a rotating polishing head and paste to give a nice smooth finish which helps to prevent the recurrence of plaque and tartar on the teeth. For any patients requiring more than a low grade scale and polish the teeth are then radiographed (x-rayed) to examine the part of the tooth below the gum line as this is where most of the disease process is happening. It helps us confirm which teeth need to be extracted. 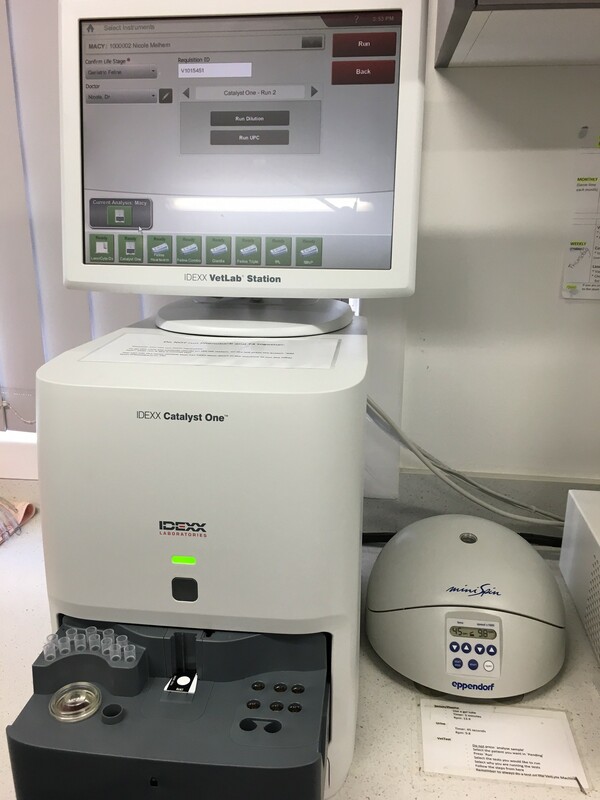 The film is processed through our specialised digital dental film processor. The images are then displayed on the computer monitor for us to assess. 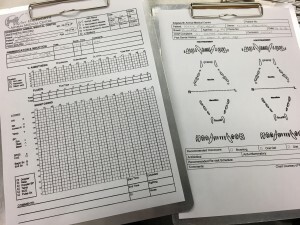 We can also provide printed reports for each patient. Dental extractions in pets are often more complicated than in a human. Their teeth are multi-rooted and designed for ripping and tearing and although some teeth with severe periodontal disease come out with little effort, others can be more challenging. Molars and pre-molars require the use of high speed drills to section the teeth into individual roots and remove overlying bone to remove the entire root with as little trauma to the rest of the mouth as possible. Dr Nicole uses a high speed dental drill to remove overlying bone and extract the tooth. After the tooth is removed, the gum is sutured closed over the bone using suture material that will slowly dissolve over time. In recovery your pet is closely monitored until they are fully awake. They are typically discharged back into your care in the early evening. 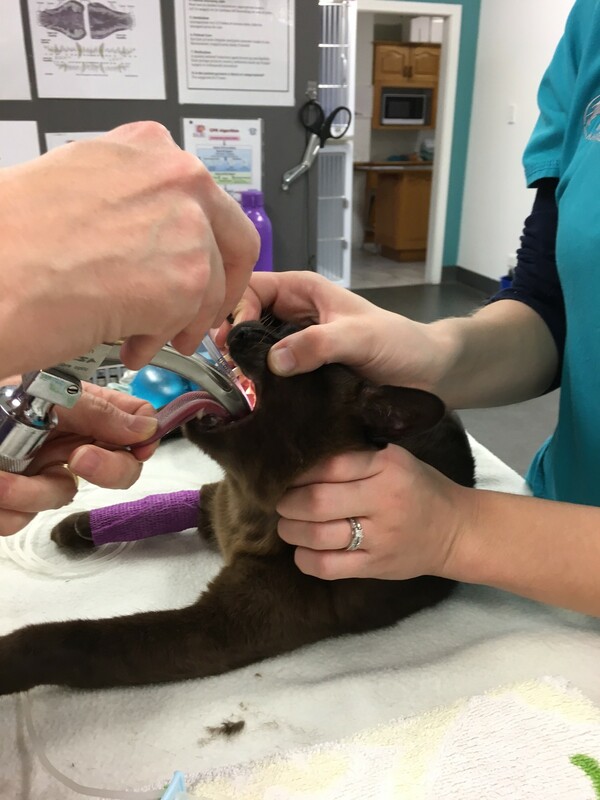 It is important that pets are fed only soft food for the 10 days after an extraction while the mouth is healing. After 10 days a recheck examination of the surgical site is done to ensure it has healed well. From this point you can start some dental care at home in the form of teeth brushing or dental diets to reduce new tartar build up on your pet’s teeth. Pets that are badly affected by periodontal disease may require regular dental cleanings every 6-12 months if home care is not enough or not practical for some pets. I am happy to report that Macy’s dental was a complete success and she is happy at home, without her painful tooth and eating her new kidney friendly diet with enthusiasm! For more information on brushing your dogs teeth or other dental problems visit the links on our resources page.